Young entrepreneur, Vincent Zaleski (Jesse Eisenberg) dreams of making millions by saving a millisecond of communication speed by building a direct fibre link involving drilling under ground beneath personal residential property as well as protected natural parks. He succeeds in getting finance. He just has to make it happen This is what the film is all about – capitalism, done is a clever, entertaining and largely humorous way. 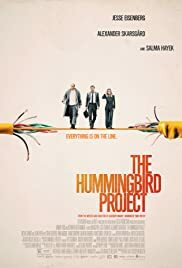 Vincent gets the aide of a telecommunications genius, his cousin Anyone (Alexandre Skarsgard) and buddy, Mark Vega (Michael Mando) to do the project. 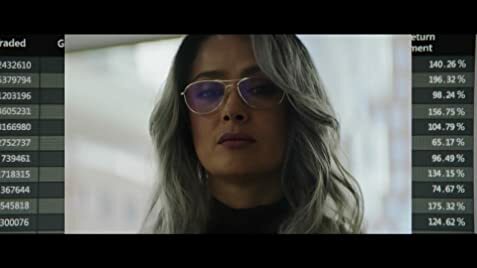 The villain of the piece is Anton’s former employer, Eva Torres (Salma Hayek). Vincent had to have Anton quit his job and Eva Torres is furious and killing to sabotage the project. Another complication arises – Vincent is diagnosed with stomach cancer and requires immediate treatment. All this craziness ceases more mayhem or vine and everyone. The film’s best segment captures Trump’s white racist American to a ‘T’. In the scene, the Eisenberg character and his driller approach the owner of a house whose property they need to drill under. The driller, clearly of some non-white background asks the owner permission, who then asks the driller where he is from. When the driller says he is American, he is questioned again where he came from before arriving in America. Eisenberg steps in, saying, clearly white American saying he is proudly American and explains, in sweet talk how the drilling would financially benefit the owner. “You have this all on paper?” A contract is immediately pulled out. Similarly, Trump has fooled his whole America and promised benefits if he gets the vote, and he succeeded. If you are offended by what is written, you are likely one of these people. Hopefully, you are able to appreciate a little self-conscious humour. 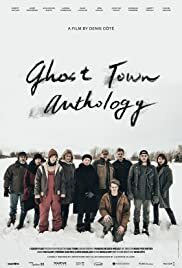 Before appreciating the small budget pensive drama GHOST TOWN ANTHOLOGY, a bit of background on its writer/director Denis Côté should be worthy of note. Denis Côté is a Quebecois direct born in New Brunswick. He is known as an experimental filmmaker with five of his previous film with no scripts and 5 with scripts. In films like his documentary BEASTAIRE, he had lots of footage he shot at the zoo and wondered what to to with the footage before assembling the footage into a coherent film. The films of Denis Côté have been respected over the years and a number of cinematheques around the world have already organized retrospectives of his work. Personally, I admire Denis Côté‘s work. They are pensive, meticulously crafted and intelligently conceived. His latest work, GHOST TOWN ANTHOLOGY has its experimental roots but is arguably his most accessible wok to date. The film bears his trademarks like carcasses of dead animals that are frequently found in the story – in this case a dead deer. The film can be described as a different kind of zombie (or ghost) film. Zombies appear in the film but no one is hurt. No one attacks the zombies and as a result the zombies do not attack the town folk either. But they appear and the villagers recognize them as being previous dead residents. 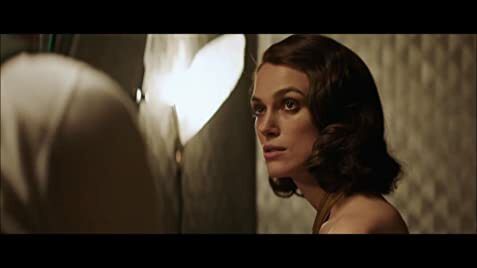 If all this sounds too weird or feels that this is not your kind of movie that stay away – but the film definitely has its rewards. The film is set in the small town of Sainte-Irénée-les-Neiges, Quebec with a population of only 215. The film opens with a car on a road that swerves to the side hitting stacks of hard objects casing the death of its driver, revealed soon to be a leading respected citizen of the town who everyone loves. The town is shocked and speechless. They claim the death as as suicide but from the scene, it looks more like the car took a deliberate turn, implying a suicide. Suicide or accident? The inhabitants of the town struggle to cope with the death of Simon Dubé, the teenage son of the family. The odd thing is that two figures wearing masks witness the crash and are seen running away from it after. More figures wearing these ‘ghostly’ masks appear later in the film as well. It is a small town where everyone knows everybody as she does, prides the mayor, Simone Smallwood (Diane Lavallee) who becomes visibly upset when the county sends a stranger to her town to help the people cope with the tragedy of a death. Director Cote knows how to grab and hold the audiences attention despite the film’s slow pace. More odd incidents occur as well as more characters are introduced into the story. A welfare teen is the first to see the zombies. The dead Simon appears to both his brother and mother. GHOST TOWN ANTHOLOGY is another of Cote’s pensive teasers, so don’t expect any resolutions to the zombie crisis. Also: great sound effects and occasionally great gothic atmosphere. FIVE FEET APART is an American teen weepie based on a script written and sold (they paid for this?) by Mikki Daughtry and Tobias Iaconis. FIVE FEET APART belongs to the genre of teen romantic comedies, the type I used to avoid when I was a teen movie-goer. Films like LOVE STORY with corny dialogue like “love means never having to say you’re sorry,” or S.W.A.L.K. (SEALED WITH A LOVING KISS) with Bee Gee songs gave me goosebumps. I hate goosebumps! Now after all these years, arrive 5 FEET APART, a film about two kids suffering from C.F. (cystic fibrosis) falling in love that is supposed to tug (and perhaps break) ones heartstrings arrives. The film will be a bit too much to take in for many but still there is a healthy market for these teen tearjerkers. The film also comes filled with cliches including that dreaded one of the gay best friend. The film centres on Stella (Haley Lu Richardson from COLUMBUS and SUPPORT THE GIRLS) who has made a home in the hospital – comfortable and friends particularly for her caring nurse (Kimberly Hebert Gregory). She meets another C.F. patient. Will (Cole Spouse from RIVERDALE) who has a bacteria that requires him to stay at least six feet apart from anyone one else with C.F. Death will and has resulted in the past, according to the nurse who insists the rule be maintained. Of course, the lovers break the rule, 1 foot at at a time. She gets a stick 5 feet long to keep herself and the now true love apart. There are a few but too many coincidences in the story. One is the nurse who has already experienced an identical situation that resulted in death. “It won’t happen again, not on my watch,” she insists. Stella has a dead sister, from a diving accident who will make her guilty with the sister appearing in her dreams to bring up the tears several notches. The parents are conveniently left out of the story. 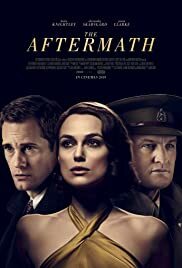 So obvious is this fact, is that when Stella’s father suddenly appears at the end of the film, audiences will likely wonder: “I never knew Stella had one.” The parents never visit. Actors Richardson and Spouse do what they can with the limited material and fare quite well, all things considering. The film’s soundtrack is filled with indie songs. But it is so manipulative to observe the way these tunes are drummed into the audience. In the hospital scene, the nurse and others move in slow motion so that the song on the soundtrack can be finished by the time the scene ends. To the film’s credit, it reveals a few points of awareness of the disease. The film is also too obvious in being politically correct, which includes a nurse that has to be black. Stay hundreds of feet apart from this one. 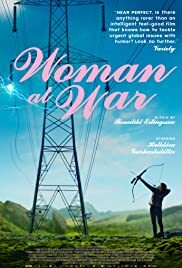 Those who have visited Iceland (myself included) will find extra pleasures in watching the Icelandic film WOMAN AT WAR shot in Icelandic. The residential shots are typical what one would see around Reykjavic and the heroine moves into the countryside where the landscape shows typical Iceland – the barren outcrop, the moss and the hills. Iceland is known as in other Scandinavian countries to be ultra-modern and more ecologically and environmentally friendly so a film that centres on an eco-terrorist is totally appropriate. And a woman at that, makes the film even more politically correct. The film opens with lots of promise. A middle aged woman later revealed as Halla (Halldóra Geirharðsdóttir) who conducts the local choir, is in the mountains with a bow and arrow (the modern kind), taking refuge from the police. She takes down a huge transformer pole carrying key power lines causing havoc in outages. Funnily, a Latino tourist nearby gets arrested and blamed for a terrorist act. The story is quite simple, revolving around he woman and later with her new-age twin sister (also played by the same actress). Both sisters are intent to adopt a girl from the Ukraine which explains the film as a Ukrainian co-production. The only complaint of the film is its predictability, particularly in the story’s main twist. 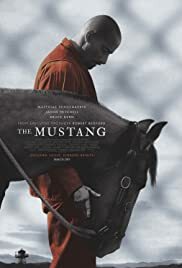 It does not take a genius (I guessed it) to figure what happens when the sister visits Halla in prison, but not everyone is like me, who sees about 400 films a year. The script co-written by the director with Ólafur Egill Egilsson pokes fun often at Iceland. There are scenes with Halla with her face on moss, common in Iceland’s vegetation. The part about the population of Iceland being so small that everyone is somehow related to each other is used in the film when Halla meets a farmer who hides her. He claims that he could somehow be related, tracing verbally all his ancestral roots. The country’s many sheep is also used to hide Halla from the cops in one scene. The Chinese are the main villains in the film. They are the lot to blame, taking away the blame from the Icelandic government for the anti-environment projects that Halla is so angry about. Director Erlingsson utilizes a band of musicians and singers (in Icelandic and in Icelandic native garb) in the background of most scenes to deliver the soundtrack, which gives the film a surreal (Greek Chorus) look, adding to the film’s quirkiness and bit of humour, though the tactic is a bit distracting. The film premiered at Cannes and won Geirharðsdóttir the Best Actress prize at Montreal/s 2018 Festival of New Cinema. The film was Iceland’s Official Entry for the Best Foreign Language Oscar though it did to make the short list. Worth a look for its quirkiness and topicality but nothing really out of the ordinary. But the film won 10 Edda Awards (Icelandic Film Awards) including the coveted Best Film, Best Actress and Best Director and Best Cinematography prizes. One must wonder how the filmmakers decide on whether the main child protagonist in their animated feature is going to be male or female. Males have been highly successful in the TOY STORY franchise while females in the FROZEN franchise. For WONDER PARRK, creating rides and using mechanical expertise to tune up the rides would be more suited for a male child and his father rather than a girl and mother. Girls do not generally engage in races either. But in this age of gender equality, anything goes. The female protagonist works well in this story to show more gender equality, credit to he filmmakers. A young imaginative 10-year old girl named Cameron “June” Bailey (voiced by newcomer Brianna Denski) spent her childhood days constructing an amusement park filled with fantastical rides and inhabited by talking animals called Wonderland with her mother (Jennifer Garner) and her friends, but she lost her sense of imagination and wonder after her mother leaves home for an illness not mentioned and growing up, until she finds the real Wonderland in the woods while at math camp. She needs to team up with the animals to stop the destruction of Wonderland by Chimpanzombies and bring it back to life. Simple story, simply executed. The film obviously suffers from the lack of a single evil villain. The cute chimanzombies do not really cut it as scary villains. Even their name sounds cute. But the weight of worry on a sick mother on a child can be devastating. Credit to the filmmakers and scriptwriter to include a more serious note in an otherwise fun film. But this sad weight does anchor down the fun atmosphere of the film. The audience also pities the poor father who now has to look after June and do the household chores which June does not believe the father is capable of. The dialogue is sufficiently corny but doable. The characters try to put back the wonder in WONDER PARK when the park is breaking down. The animals also frequently chant: “We are the Wonder in Wonder Park”. The characters con up words like ‘splendiferous’ and ‘wonderiferous’, words that children can pick up and constantly annoy their parents with after the movie. The park also encompasses some ingenious rides that the script has churned out, rides that could perhaps work in a real amusement part, but deemed too dangerous. Other voice characterizations from more famous actors include the ones from Mila Kunis, Ken Jeong and Matthew Broderick as June’s father. The part of the story of twin worlds existing makes a good concept. When June whispers into the ear of her toy chimpanzee, the chimpanzee in WONDER WORLD, Peanut (Norbert Leo Lutz) hears her ideas and implements the suggestions. 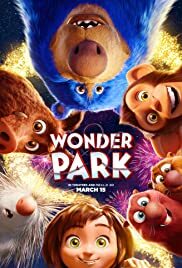 WONDER PARK is the third animation feature from Nickleodeon Pictures and Paramount Animation Studios after JIMMY NEUTRON: BOY GENIUS and BARNYARD. It was reported that the filmmakers hope the film turns out as big as Disney’s COCO. Both films share the voice of a newcomer for the main child protagonist. WONDER WORLD is no COCO but it is still not without its pleasures but for mostly kids.